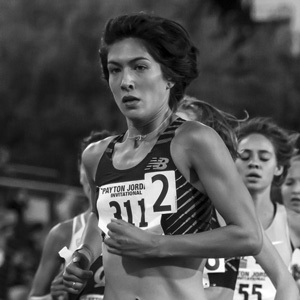 Stephanie Garcia is a professional runner for New Balance who specializes in the 3000-meter steeplechase. She graduated from the University of Virgina in 2010 with a BA in government and English, and then earned her master’s in English in 2012. Currently Garcia is living in Greenville, South Carolina, where she trains with the post-collegiate track training group Furman Elite. Garcia was the bronze medalist at the USA Track and Field Championships in 2014 and was a member of the 2011 World Championship team in the 3000-meter steeplechase. Elizabeth Inpyn has enjoyed a long and successful career as an athlete and nutrition coach. An NCAA Division 1 distance swimmer and water polo player, she transitioned into triathlon after college and is a multiple podium finisher at the Olympic and 70.3 race distances. A monthly contributor to top health & fitness publications like Ironman.com, Men’s Health and Runner’s World, she has a Master of Science in Sport & Exercise Nutrition. Elizabeth believes in giving back and has chosen to do so in many ways, including as a Swim Across America participant and Swim Angel, as a Tour De Cure participant, and a Girls On The Run coach and community participant. In 2015 she officially launched INPYN Nutrition – helping athletes of all levels utilize a daily meal plan as well as dial in race day nutrition through highly customized testing, feedback and planning. In 2004 Megan Jaffe left teaching to be a full-time mom to her two young daughters, Mia and Charlotte. She has been a runner since the age of 14, competing in cross-country and track throughout high school and college. After college she continued to participate in half-marathon and marathon distance races. 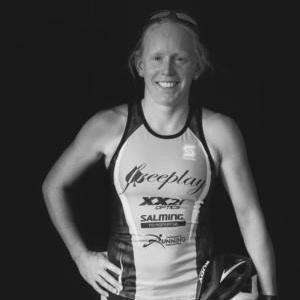 In 2007 Jaffe was looking to get into triathlons when she met pro triathlete Rachel Challis, who coaches now coaches her as part of the Training Transition Team in Carlsbad. Five years later, Jaffe has completed more than 20 triathlons and is looking forward to the next 20. 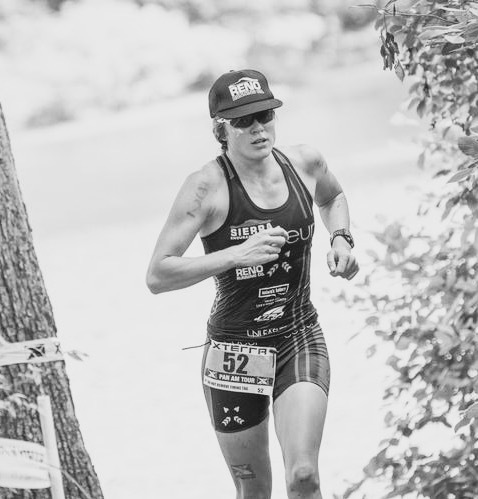 Kara LaPoint is an elite triathlete competing in both road and off-road triathlon. Growing up Nordic skiing and swimming, she developed a passion for endurance sports at a young age, and it has only grown with time. She decided to give triathlon a go after completing her collegiate Nordic skiing and running careers, and was immediately hooked! When she’s not running, biking, swimming or skiing, LaPoint is busy writing for a range of publications, coaching junior Nordic skiers, teaching, and taking her dog Levi on adventures in the Sierra Nevada mountains. 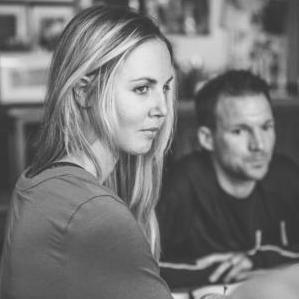 Mackenzie Madison is a professional triathlete and coach in Eugene, Oregon. She trains in the scenic foothills of the Willamette National Forest along trails that follow the beautiful McKenzie River. Her proximity to Track Town USA imbues her with the spirit of Hayward Field as well as the ability to train on Pre’s trails (trails named after Olympic gold medalist Steve Prefontaine). She earned a bachelor’s degree in kinesiology with a minor in coaching at Iowa State University, followed by a master’s in exercise physiology from the University of Oregon. Madison has excelled in both half- and full-Ironman-distance races as a professional triathlete. This year Madison has had numerous podium finishes, including finishing first at Ironman 70.3 Vancouver and third at Ironman Canada. An accomplished student of the sport, she has not only taken her own performance to the next level, she helps others achieve their goals in triathlon. 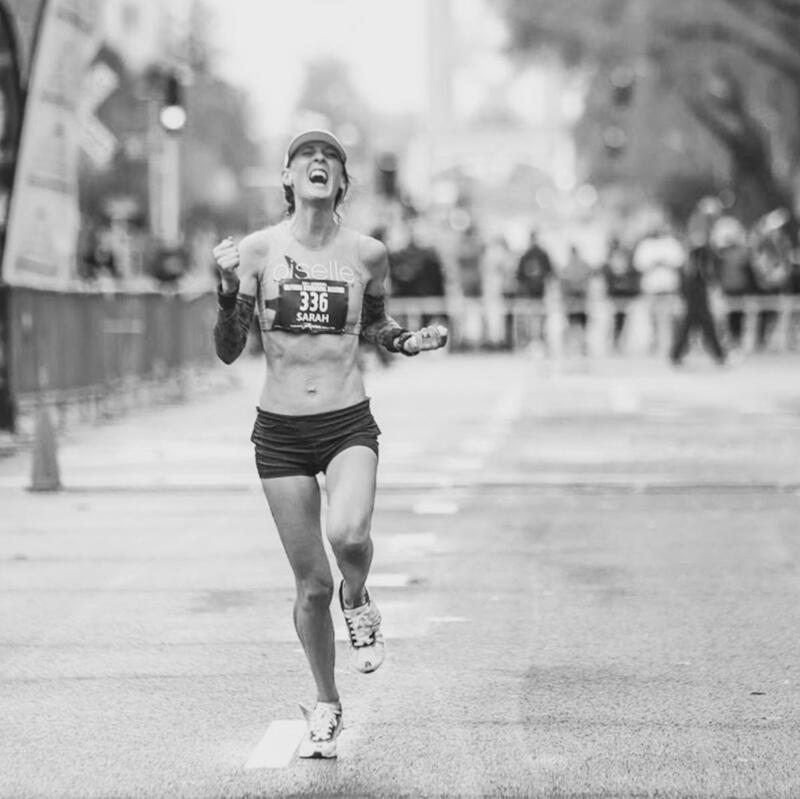 Kelly O’Mara is racing as a pro in 2017 — something she is trying not to be nervous and stressed out about. She first learned how to triathlon on the Cal Tri team in 2005, but took a hiatus from the sport for a few years post-college (during which she did some terrible mountain biking, some moderately OK obstacle course racing, and finally actually ran a marathon). She returned to triathlon while on a grad school fellowship at USC and raced with the collegiate tri team there. In 2016, Kelly O’Mara trained and raced a lot including competing at the World Championships in Kona for the first time ever, taking 10th in the 30-34 age group despite some projectile vomiting. Kelly also produces a sports podcast for WiSP Sports and writes for Freeplay Magazine, espnW, Triathlete, Competitor, and a number of other publications for whom she is the resident triathlon expert. Ask her anything about the industry. Except for detailed gear questions about bikes. 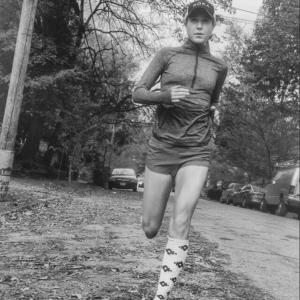 Sarah “Mac” Robinson is an elite runner and freelance writer living in Tacoma WA with her husband, toddler and her toddler’s imaginary dogs. She has a BA in English with a focus on Creative Writing and has spent the past decade working in marketing. So far her running career highlight is qualifying for and running the 2016 Olympic Trials Marathon. Far from done yet, she loves to run and race to find out what’s possible. She believes in the transformative power of sport. Running is more than miles and numbers, it has the power to break you down and build you back up, to show you you’re capable of more than you thought. Chelsea Reilly Sodaro is an American distance runner. Chelsea competes in track and field, cross country, and on the road. She races the 1500 to the 10k and looks to compete longer events. Chelsea experienced success as a teenager at Davis Senior High School in Davis, Ca. She began to taste some success in her final year at UC Berkeley and became an All-American in cross country, indoor track, and outdoor track. After she graduated, Chelsea won two national titles (2012 Road 10k, 2013 indoor 3k),achieved the World Championships A Standard in the 5k and the Olympic Standard in the 10k. When she’s not training, Chelsea’s an amateur home chef and loves shopping at the Farmer’s market. She looks to inspire others in her community with her no-quit attitude. She’s passionate about running, fitness, and health and hopes that passion will be contagious to those around her. Laurel Wassner is a survivor of Hodgkin’s Lymphoma and is the first cancer survivor to become a professional triathlete. Laurel was named Rookie of the Year her first year as a pro (2008). She won her first pro race in 2010 at the Columbia Triathlon, becoming the first cancer survivor to win a professional triathlon. Rebeccah Wassner is a three-time winner of the New York City Triathlon (’09, ’10, ’11), holds records on the Philadelphia and Columbia Triathlon courses, and was a member of the U.S. National Team in the 2006–2007 season. Rebeccah lives in New York with her husband. They had their first child, Amy, in 2013. Aliya Traficante has been racing and adventuring via bike since the age of 12. The sport of cycling has brought her many travel experiences through North America as well as abroad (which included racing in Holland with the U.S national team). 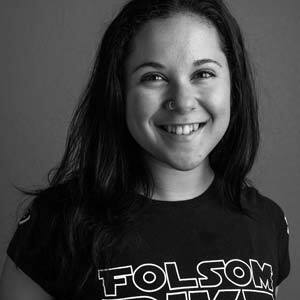 Aliya is a northern California native -based in Chico, but currently residing in sunny Tucson (though her heart belongs to the greater Tahoe area). 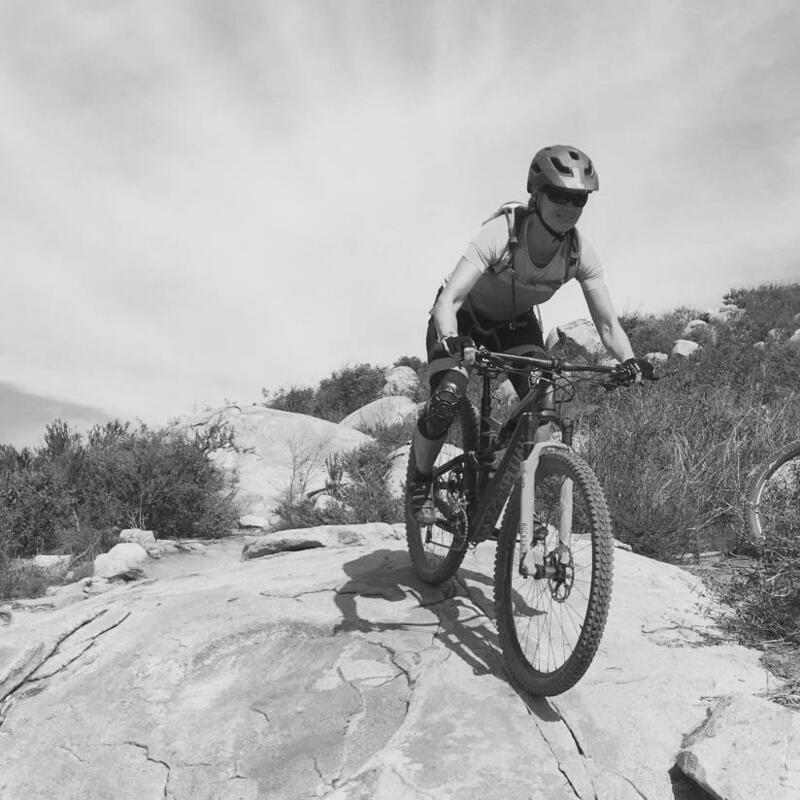 Now, at age 19, she is an elite cyclist racing for Folsom Bike/Trek and enjoys the fine balance of training, racing, college, writing, and all other interests on and off the bike.